Like any other sport, and even back yard trampolining, trampoline jumping carries a level of risk – it is your decision as to whether the benefits of jumping outweigh the risks. We have a comprehensive safety system to minimise the risks of an accident, developed around international industry best-practice. Safety is our number 1 priority, to ensure everyone has a fun time. Prior to jumping, everyone must agree to the Conditions of Entry – this confirms you have read, understand, and accept our safety rules, and accept the risk involved with jumping in our trampoline park. Understanding the rules is beneficial to not only yourself, but also others around you. Our rules and safety guidelines have been developed in conjunction with the equipment manufacturer, recognised safety experts, and the Australian Trampoline Parks Association, in line with world’s best practice. To minimise the chance of dangerous situations, especially for inexperienced jumpers, we conduct a safety briefing at the beginning of each jump session, and have also clearly posted station rules at the entrance to each station. These rules are for the safety of all, and are enforced by our floor staff. We reserve the right to ask jumpers to leave the floor if rules and / or safety instruction issued by staff, is ignored. This is a necessity to protect both yourself and others from any unnecessary risk. Gravity Etc trampoline floor is monitored by trained trampoline staff as per the guest to staff ratio requirements of the Australian Trampoline Parks Association Code of Practice, to which we adhere – for your safety. Our team of supervisors have been trained in CPR and First Aid and are there to ensure all of the court rules are followed in a courteous manner, for the benefit of all our guests. Along with all other rules, the most important rule of ‘one person per trampoline’ will be enforced at every opportunity, to avoid collisions and risk of double bouncing. Children under 110cm tall (which is generally those aged 5 years and under) have access areas to all areas except The Edge – Performance Trampolines. 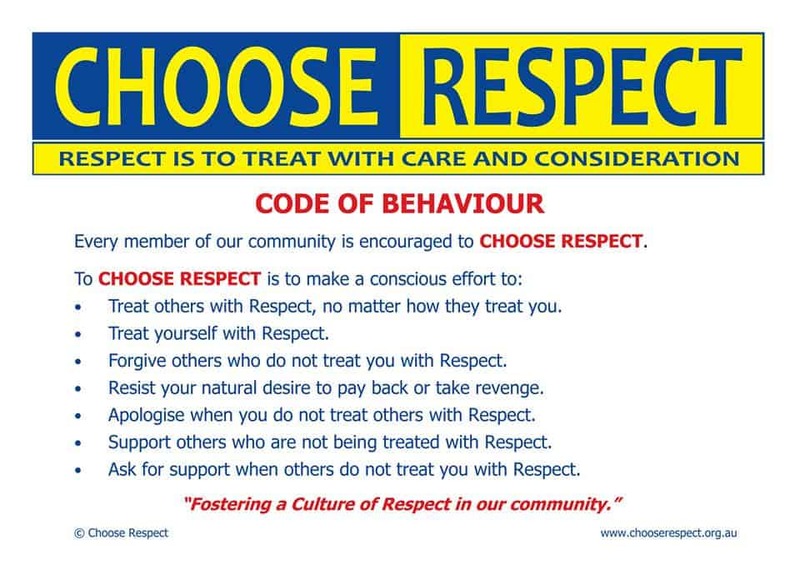 In addition to ATPA policies and procedures, and our own policies for Safety and Guest Experience, our Centre also follows the “Choose Respect” Code of Conduct – please – always approach our staff or a Manager should you feel there is any Choose Respect breach. Everything that happens within in the trampoline deck area is captured on our Closed Circuit TV system. We also use this system to keep an eye on what is happening across the entire centre, in addition to the supervisors on the trampoline deck. The entire Gravity Extreme Trampoline Centre has been engineered and designed for safety. Using the very latest in trampoline technology from our supplier in the United States, we have invested heavily in the best equipment available, to make sure that your experience is both awesome fun and as safe as possible. Every trampoline in the arena has no gaps to fall through, nor are there any exposed springs. All steel and springs are covered by high performance padding. Trampolines are protected with a redundant safety net where required, which protects the jumper in the unlikely event of a catastrophic trampoline mat failure. Each of our activity zones is surrounded by soft but strong, netting and/or trampoline walls. These walls are SO strong jumpers can bounce off them and back onto the trampoline floor. This design helps avoid the age old problem of “falling off the trampoline” many of us have experienced on home trampolines. Our staff perform hourly, daily, and monthly inspections of all trampoline parts, within the centre to make sure that everything is always in proper working order. REMOVE any large or loose jewellery to protect yourself, other jumpers & the trampoline equipment. NO food, drink or chewing gum whilst jumping. NEVER jump if you are under the influence of drugs or alcohol! NEVER jump if you are pregnant, have health limitations or pre-existing injuries – see your Doctor if you are unsure. Gravity Etc grip socks must be worn on trampolines at ALL times. No grip socks – no jumping. There are inherent risks in the participation on any trampoline court. Read and obey all written Gravity Etc Rules of Entry, Guest Responsibility Code, and Terms and Conditions requirements. Obey oral instruction from Gravity Etc staff. Remove all jewellery, belt buckles, clothing studs, keys, key chains, or sharp objects on the jumping surface. Remove all loose items – phones, cameras etc when on any jumping surface, airbag or foam pit . Avoid any collision with other guests, for your own safety and theirs. Conform to the equipment height, weight or age restrictions – as provided by Gravity Etc in Terms and Conditions. Do not crowd or overload sections of the trampoline court. Use equipment within your own limitations, training and acquired skills. Avoid landing on your head, hands or neck . Avoid landing on court padding, always land in centre of trampoline. Do not participate under the influence of any drug, or alcohol. Do not participate if you have any pre-existing medical conditions or are pregnant – if unsure, consult a medical practitioner before entry. Always remain in control, do not attempt new manoeuvres. Always Only jump when your lane is clear, and look out for others. Always land in your own lane. Always use correct exit path. Never climb or hang on the walls, nets, or padding. Never land on your head, neck or back. Never dive into the airbag. Never jump if there is no staff member present. Never lie down or sit on the airbag or mats/padding/fencing. Never affect another jumper’s bounce in any way. NEVER EVER attempt double flips, back flips or gainers into air bag, or any manoeuvres outside your experience or ability. One person to a trampoline only. Bend your knees to land or stop, jump in control, jump and land on two feet. Trampoline use involves inherent risk – jump smart, be safe. Non-compliance may result in loss of jumping privileges. Always follow staff directions and instructions. Always battle opponents that are of similar size and age. Always ensure you are centred on the beam. Never intentionally DIVE or jump head first into the foam pit. Feet first is the safest way to land in the foam pit. Back up past the line – and you are out. Battle at your own risk. Non-compliance may result in loss of battling privileges. Foam Pit use involves inherent risk – battle smart, be safe. Always be cautious of all other guests. Never exceed your own limitations. Never hang off the hoops. Always look out for others and only jump when your lane is clear. Never rough play or run on the court. Never lie down or sit on the court. Never land on your hands, head, or neck. NEVER EVER attempt double flips, gainers, or manoeuvres outside your experience or ability. If you cannot jump up on the wall without using your hands, then we consider you not experienced enough to jump back down. Practice your jumping and wall walking safely, you’ll get to the top once your body and skill level is ready.